Friday July 22, 2011 - Saturday August 13, 2011 - Event ended. 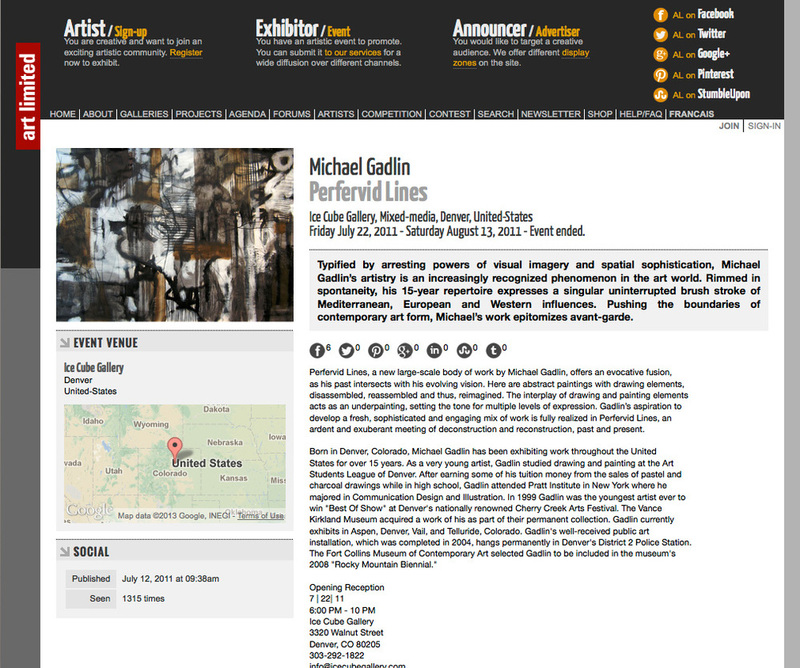 Typified by arresting powers of visual imagery and spatial sophistication, Michael Gadlin’s artistry is an increasingly recognized phenomenon in the art world. Rimmed in spontaneity, his 15-year repertoire expresses a singular uninterrupted brush stroke of Mediterranean, European and Western influences. Pushing the boundaries of contemporary art form, Michael’s work epitomizes avant-garde. ardent and exuberant meeting of deconstruction and reconstruction, past and present. installation, which was completed in 2004, hangs permanently in Denver's District 2 Police Station.